Lovett International is delighted to present this beautiful four-bedroom detached home, which resides on a beautiful tree-lined avenue in a popular area of Bournemouth. The stunning family residence boasts excellent curb appeal, is set back from the road and has a substantial driveway allowing parking for multiple vehicles. Stepping into the property you are greeted by the welcoming entrance hall that is light and airy with a feature oak staircase, adjoining cloakroom and useful utility room. 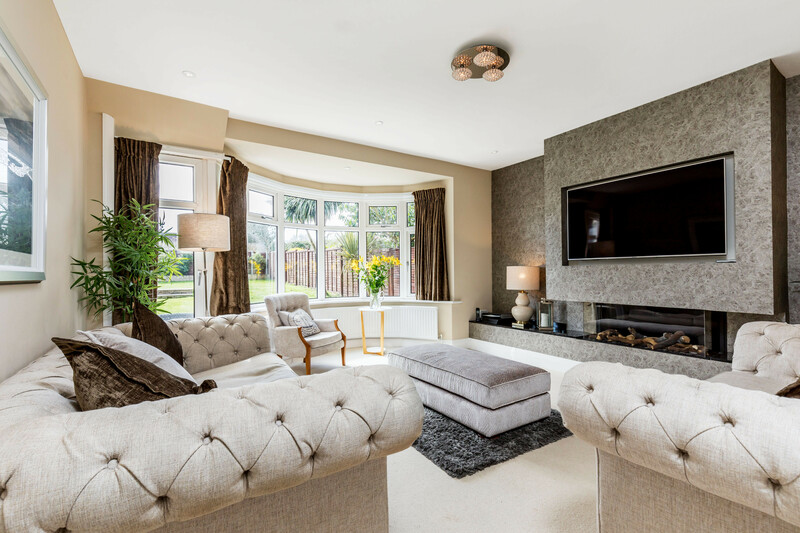 The property boasts two spacious reception rooms; the principle reception room offers a superb space for relaxing with its feature bay window, pleasant garden outlook and bespoke gas fire. The second reception is well proportioned and is currently being utilised as a study/play room. Both reception rooms offer direct outside access. To the rear of the property, the current owners have created an impressive kitchen/diner/family room that has produced a fantastic entertaining space. 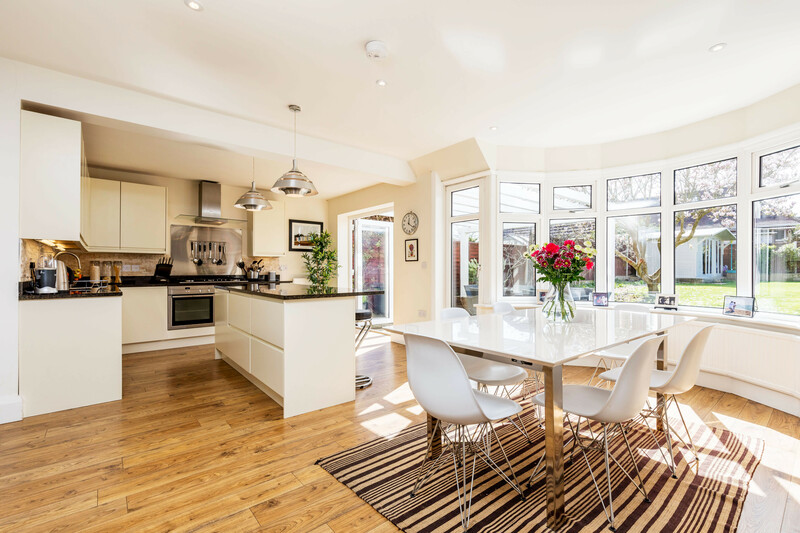 The space is further enhanced by the character bay window and bi-fold doors that lead out onto the south-facing garden and flood the room with natural light. The contemporary kitchen is of a high-specification, including modern, built in appliances, a large sociable breakfast bar, generous work space and plenty of storage. Luxury details such as granite work-surfaces and split-brick features bring this home to life. Sleeping accommodation is found on the first floor and consists of four generously proportioned double bedrooms. The master suite is notably capacious with its large bay window, built-in wardrobe and newly installed en-suite shower room. 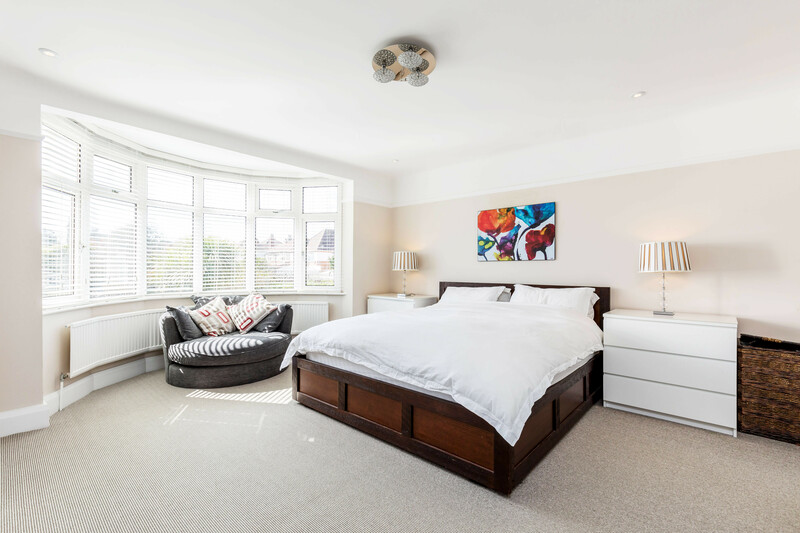 The guest bedroom also benefits from the south aspect bay window and all of the bedrooms offer ample space for bedroom furniture and storage. There is a newly installed luxury family bathroom suite, which serves the bedrooms and incorporates his and hers sinks, monsoon shower over bath, w/c, heated towel rail and back-lit mirror. Outside you will find the substantial and well maintained south-facing rear garden that is laid to lawn, boarded by established plants and greenery. The garden incorporates a large patio area, that is perfect for alfresco dining and entertaining in the summer months, as well as a summerhouse. Immaculately presented throughout a viewing is highly recommended to appreciate all this stunning property has to offer. This beautiful home must be seen to be fully appreciated. Currently on the market for £670,000, call now on 01202 303044 to arrange a viewing.